When Albert Locke took control of his father and uncle’s company in Salem, Massachusetts, around the turn of the century, he decided he wanted to do more than just build parts for steam engines. The Locke Regulator Company was getting into the car business. In 1902, they launched their little runabout (designed in-house by Albert himself) that uses a straight-twin steam engine making six horsepower. Most Puritans were known to be ahead of their time (the cars, not the people) by featuring two things that would become standard on automobiles: a steering wheel and a foot throttle. However, this car has tiller steering. It could go 100 miles on one tank of water and could reach 20 mph. Unfortunately, the company didn’t last in the car business for long, with production ceasing the following year in 1903. 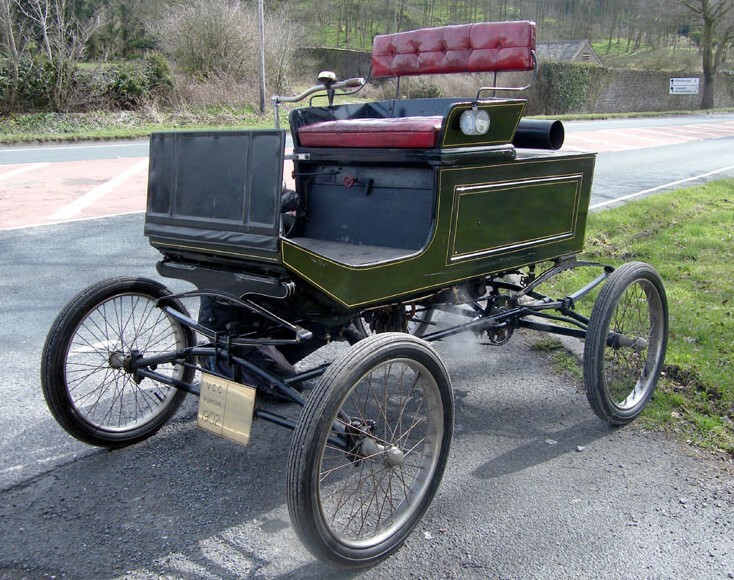 As rare as that makes it, surprisingly, there is at least one other Puritan steam car in England. This one isn’t exactly in concours-level shape, but it is usable – which is the most important thing. Price is not listed but you can check out more here. Update: Not sold, H&H Auctions Duxford, Fall 2014. This entry was posted in Uncategorized and tagged 1902, cars, classic cars, for sale, h&h auctions, puritan, runabout, steam by classiccarweekly. Bookmark the permalink.